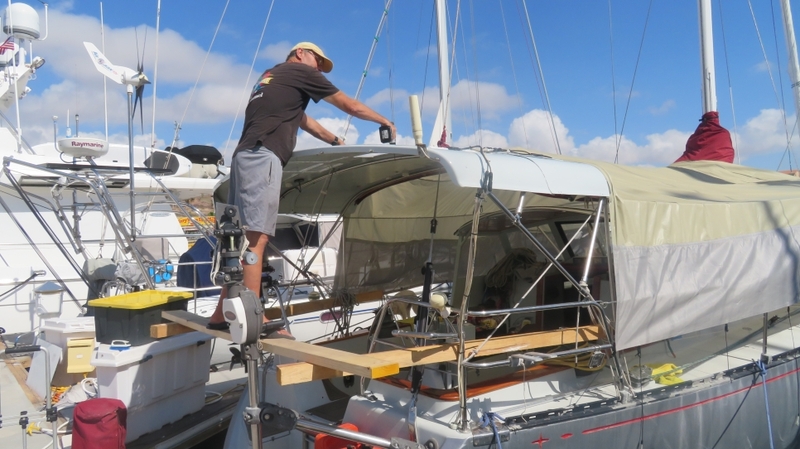 10 days in the San Carlos Marina was packed with maintenance projects such as removing the four solar panels from the bimini and repainting it along with the hard dodger. Had to apply paint at 8:00 am before it got too hot to flow. Of course the local OSHA office approved the scaffolding.